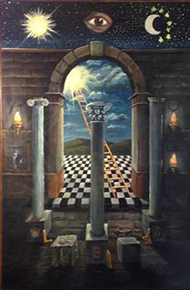 Julian Rees is an established figure in the research of the philosophy of Freemasonry, and this long awaited new edition of his extremely successful book would be a welcome addition to any Masonic library. The book reveals a wealth of information about the evolution and development of the Tracing Board, from the early use of floor cloths, carpets and the artistic variations of the early boards of the later eighteenth century. The book is beautifully illustrated throughout, revealing many Tracing Boards, including the famous Harris Boards of the 1840s, and also looks at the boards used in France, Germany, Austria and in the USA. Rees explains how the symbolism and imagery displayed on the floor cloths and Tracing Boards evolved during the eighteenth century as the designs were influenced from various sources. 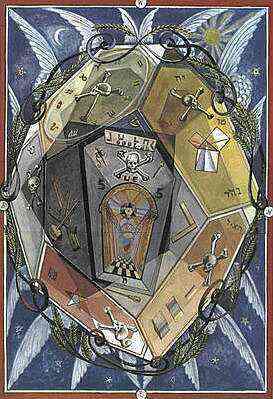 The union of 1813 certainly effected the design of the boards, with some symbols being dropped by the UGLE and John Harris being awarded the commission for the new design. 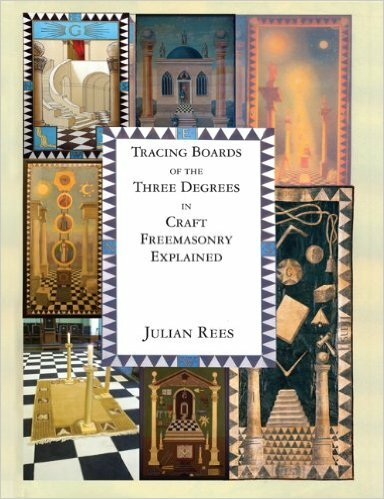 Rees discusses a more recent board design, with Lady Frieda Harris (no relation to John Harris) who designed a set of Craft Tracing Boards in the early twentieth century for the International Order of Freemasonry Le Droit Humain. 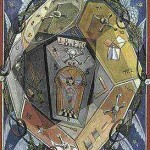 Lady Harris also designed the Thoth Tarot cards with Aleister Crowley, and there are certainly similarities in the imagery on the Tracing Boards. The book is full of detail in regards to individual lodges and how they expressed themselves with different designs, such as Pilgrim Lodge in London which, when founded in 1779, was a German speaking lodge due to a number of members who were courtiers at the Court of George III, and due to their use of the Schröder ritual, they used a carpet instead of Tracing Boards. 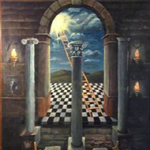 The book is A4 size in paperback, and is the only book to give such a detailed examination of the Tracing Boards – and is a must for all Freemasons. It is available direct through Arima, from Amazon, or signed copies can be purchased direct from the author.